Artist and philanthropist Wendy Fisher on what drives her philanthropy and how art can contest the tough questions that permeate our society. 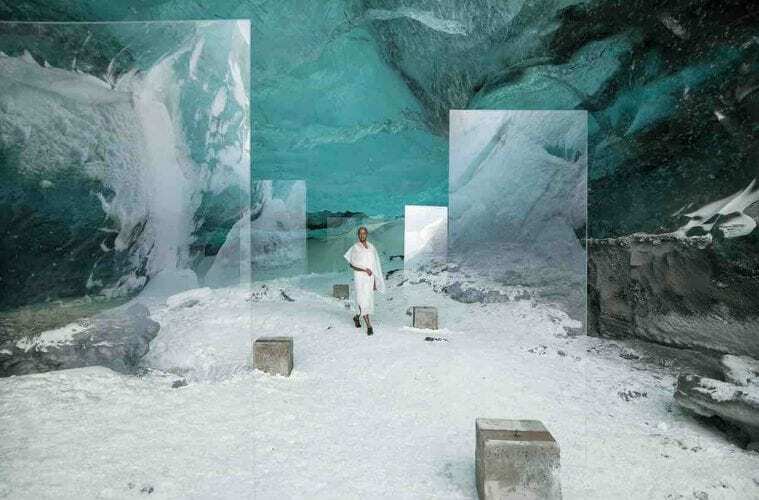 Isaac Julien, En Passage (Stones Against Diamonds), 2015. Courtesy the artist and Victoria Miro London. An artist who now dedicates much of her time to philanthropy, Wendy Fisher criss-crosses the world supporting the arts. The President of the Solomon R. Guggenheim Foundation Board of Trustees, Wendy has worked with some of the world’s most revered cultural institutions. 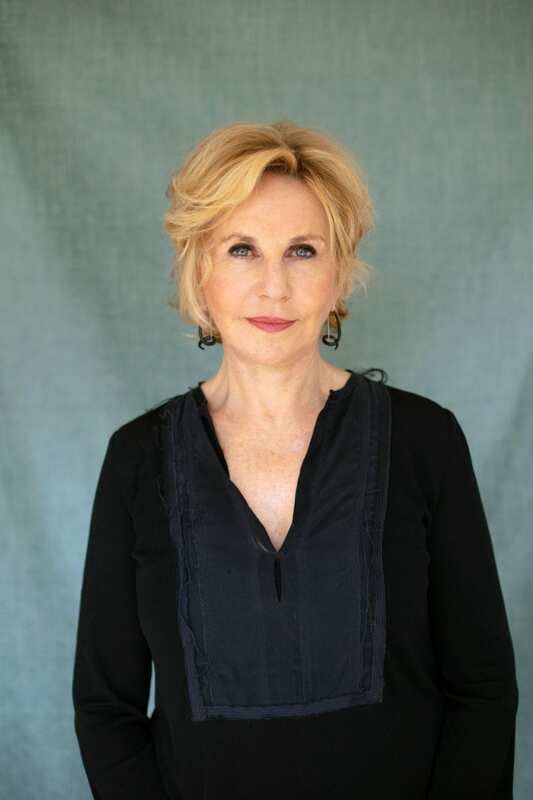 This month the British Friends of the Art Museums of Israel (BFAMI) will honour Wendy for her outstanding commitment to BFAMI and her dedication to philanthropy and the arts. BFAMI is a not-for-profit organisation dedicated to raising funds to support educational programs run by the Art Museums of Israel. BFAMI Gala Dinner and Auction raises money and awareness for the charity’s causes and provides a platform to celebrate and honour key figures that have supported the charity and its mission. This year, alongside Wendy, the event will celebrate filmmaker and installation artist Isaac Julien. The auction will feature his work plus those of other internationally recognised artists such, James Turrell, Michael Craig-Martin and Ron Arad. 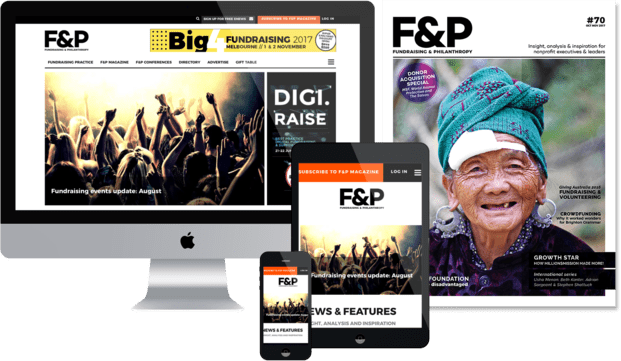 Ahead of the BFAMI Gala Dinner and Auction in London on January 29, Wendy spoke to F&P about how her upbringing shaped her views and what drives her philanthropic efforts. You have a very interesting background as an artist and a clinical psychologist, not to mention the fact you grew up in South Africa and Swaziland. How does that background play into and influence your philanthropy and your various roles with cultural institutions and foundations around the world. Growing up in Swaziland I was deeply aware of my privileged background. Just down the road from our home was a Swazi village consisting of mud huts with no access to clean water or electricity. The children from this village were my friends and I often played with them after school. I remember their mothers coming to our home and carrying heavy buckets of water on their heads. That left a huge impression on me. I knew then from a very young age that I had a responsibility to help others less fortunate than myself. I realised the best way to do this was to help educate young people so that they could lift themselves out of poverty. In my youth I voluntarily taught students English and math and my commitment to improve society has continued since then. Today my family and I are involved in numerous projects to help educate communities including providing computers and internet access in schools. We also have a micro finance organisation which provides loans to entrepreneurs who otherwise wouldn’t have the means to develop their own businesses. I’ve always believed that helping people to empower themselves through work will build self-esteem and confidence by ensuring they can provide for their own families. This theme has continued to drive all my philanthropic efforts. Growing up in Southern Africa, being exposed to the colourful landscape of all its cultural artifacts captured my imagination and it was here that my interest in the arts was born. But, the kind of personal engagement I have now with artists across disciplines and their idiosyncratic outputs, only emerged much later in my life. After degrees in music and English I studied clinical psychology, first in Johannesburg and then New York. My school was very close to Parsons School of Design. In my free time, I would visit and admire the work at Parsons. This led to me to explore the great museums of New York and learn about their amazing collections – it was inspiring. Those casual, seemingly insignificant visits, really sparked something in me – and even now, so many years later, I can recall that excitement and charge. Looking back, I think my motivations were two-fold: I was curious about the cultural diversity around me and I wanted to learn more. I had a deep desire to connect with South Africa, it was home, and preserve traces of it in spite of the ongoing political turmoil. When it comes to collecting, my passion for art – my desire to own art – really started when I went back to South Africa. I fell in love with the sculptural approaches that felt unique to home. My first sculpture was an Ezrom Lehae entitled ‘lonely’. The first contemporary piece I bought was a drawing by William Kentridge whose work I have followed closely since 1986. I had been at school with his wife Anne and I’d known William as a teenager, and before I left to live in London I bought one of his drawings. Williams work connected all the dots for me then, and it still does now. He spoke to the angst of many liberal South Africans living through Apartheid; he articulated the sparse Johannesburg landscape we knew so well; he brought the complexity of the time into view for me. I’ve been lucky enough to be exposed to great artists and work from all over the world, and yet still I’m astounded – as I was then – by the power of William’s works and the extraordinary character he is. Since then I have collected artworks from around the world that I connect to but I’ve always kept active with South African cultural scene. For a while it was a way to stay connected with home, but in the past five years my focus has shifted back there with renewed purpose. I’m now less interested in the pursuit of works, and am more intent on supporting the development of an infrastructure for the art in the public domain. Your commitments are extensive and you divide your time between New York, London, Swaziland, Israel, and South Africa. How do you get it all done? It is true, I spend a lot of time on an airplane! For me working with great teams, and wonderful organisations really motivates me. It is also important to know your strengths. I am a strategic thinker, and I then work hard to surround myself with those who can deliver. I do my best to make sure I am always on call for the organisations I support, thanks to today’s technology, I can be in South Africa but join a board call in New York. What guides you in your own philanthropy and as a fundraiser and advocate for the arts? The idea of providing a public benefit is always in the forefront of my mind. To bring art, history and culture to as many people as possible, to foster understanding and to foster an appreciation of the talents and expression of others. A4 Arts, a foundation I seed funded in South Africa works to do just that. It is a free to public not-for-profit laboratory for arts in Southern Africa. Since our inception a year ago we have become a hub for professionals and publics to engage the arts and its role in wider society. My experience with institutions across the globe helped me to recognise what was missing from the Southern African cultural scene and spark an innovative institution that responds to the particular conditions of Southern Africa today. There’s a lot of competition for the philanthropic dollar. Why should people give to the arts and how should cultural institutions encourage giving? I believe art is a powerful leveller; it welcomes people, it brings people together. At its best, it affords space to engage and contest the tougher questions that permeate our society – be it race, religion, or injustices of one kind or another. In art’s unwillingness to be pinned down, it performs a unique and invaluable role of celebrating difference and diversity. And yet still, beyond this discursive role, it presents opportunity to be inspired – like I was all those years ago. Great things happen when people from different backgrounds come together, believe in themselves, listen and learn from each other and share ideas. For these reasons, I strongly maintain that art, as unquantifiable as its effects are, is an urgent and necessary channel for philanthropy. You have a long association with the British Friends of the Art Museums of Israel (BFAMI). What appeals to you about that organisation and what have been the highlights of that association? The richness of the public education programs BFAMI support really drew me in. By helping to raise funds for various programs, and then observing how those funds translated in location specific programs, I witnessed my lifelong interest in the arts as a tool for social cohesion and innovation. My beliefs were verified, re-enforced and expanded. BFAMI’s programmes reach all of Israeli society, from the religious to the secular, Jewish Arab, young old, city centre or the periphery. The highlight for me has always been visiting our programs on the ground, zigzagging the distance of Israel and seeing every age from across the fabric of society engaging with arts education programs. Sitting on the floor of the Israel Museum interacting with kids from across the cultures of Israel, who bring their own culture into the exchange. These kids may not regularly engage or learn from each other without these programmes. In the Tel Aviv Museum we supported a programme for those with severe disabilities to interact with the arts – without BFAMI this exposure wouldn’t happen. We have seen that without BFAMI and its counterparts these programs fall away depriving those in society of a real outlet. To you, what makes the BFAMI Gala Dinner and Auction special? The energy at the BFAMI Gala is always so special. It brings together those who passionately care about the power of the arts, alongside artists, and the museum directors who actually deliver the projects on the ground. We also get to be surrounded by our art auction, so it is definitely the most beautiful gala in town. The auction also has a wide variety of works on display, something for everyone. It is always a really fun night out! What’s one thing you know about philanthropy now that you wished you’d known when you were starting out? It takes time to effect real change, you can’t expect results overnight, the communities you work with need to join you on this journey. Persistence, patience and partnerships pay off. The total raised across the live and silent auction at the BFAMI Gala was just shy of £450,000. 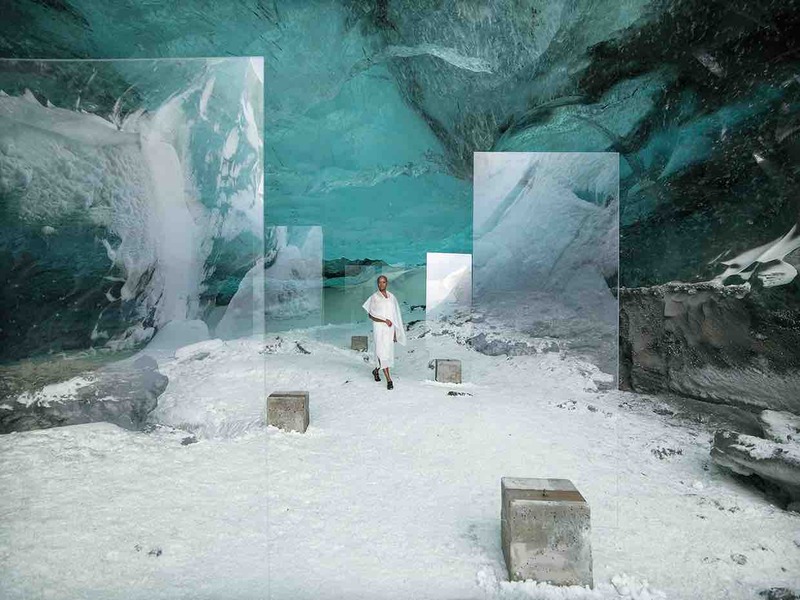 Led by auctioneer, Helena Newman, Chairman of Sotheby’s Europe, the star lot was Isaac Julien’s “Stones Against Diamonds (Ice Cave)” reaching £130,000 in the room (estimate: £65,000-£85,000), followed by Keith Tyson’s “Still Life with Forget-me-nots” reaching £26,000, and a Hollywood-style staged family portrait experience by fashion photographer Miles Aldridge reaching £24,000. Wendy Fisher is President of Solomon R. Guggenheim Foundation. Wendy, a trained clinical psychologist, noted philanthropist and artist, is engaged with cultural institutions around the world and a life-long supporter of the arts. She was a facilitator and a resource for the Young Presidents’ Organization (YPO) and is the CEO of the Kirsh Charitable Foundation. She also founded A4 Arts Foundation, a project space in Cape Town dedicated to widening access to the arts in Southern Africa. Fisher’s board roles include Performa, Public Art Fund, Jewish Museum of NY, Israel Museum, BFAMI, Tate International Council and MoMA PS1. She has received numerous recognitions: the Freedom of the City of London award in recognition of her contribution to the arts; her sculpture was featured in the London Olympic Village; Performa named Fisher one of their Renaissance Women of 2014. To learn more about BFAMI and the programmes the organisation supports, please visit: www.bfami.org. Previous ArticleIs Facebook Live really for charities?